Minneapolis Real Estate Attorney Update on Normandale Boulevard Project — Minneapolis MN Real Estate and Eminent Domain Lawyer | Morphew Law Office, P.L.L.C. As a Minneapolis real estate attorney, I've received many calls and questions about the Normandale Boulevard project and how it will impact property owners going forward. Here's some things you need to know. Crews have just wrapped up the second season of construction of Normandale Boulevard in Bloomington, Minnesota. While crews are still out installing fencing, most of the roadwork is wrapped for this year. Next spring, the project will finally be complete when crews lay the final layer of asphalt. Here’s a closer look of what’s completed and what still lies ahead for homeowners and commuters along this major thoroughfare. 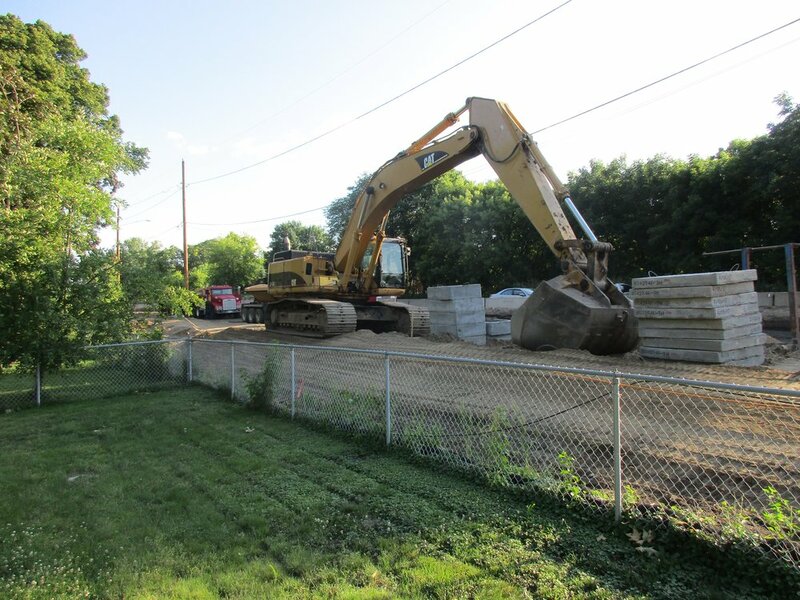 Work along Normandale Boulevard this year started in January with the retaining wall. Homeowners endured vibrations and items falling from shelves as crews installed sheet pile wall. The installation took two months, finally wrapping in March. As temperatures increased, work on the roadway started in earnest. Crews ground up the old road for use as a base for the new one. Meanwhile, contractors installed new sewer pipes, gas lines, electricity facilities, and Internet infrastructure. Traffic patterns and detours shifted week by week, and the road was frequently closed overnight for projects that spanned both sides of the road. In July, crews started to install curbs and gutters along the edge of the new road. By the end of the month, contractors were clearing trees along the west side of the road to install the retaining wall at 94th Street. Work on utility infrastructure continued along the site in August. In early fall, crews completed walls near Norman Ridge Drive while utility work continued. Rain delayed these projects in late September and early October, setting back progress. But by Halloween, most of the east side of Normandale Boulevard had its first layer of road surface. Crews wrapped up the west side by mid-November. After nearly a year of constant construction along Normandale Boulevard, major 2017 projects are finally complete. But work will continue in spring 2018. Crews will apply the final layer of asphalt on the road and the trail that runs alongside it. Landscape contractors will also complete their projects along the boulevard. Once complete, Normandale Boulevard will be transformed from an undivided four-lane highway to a divided one that includes left-turn lanes and adjacent trails for pedestrians and cyclists. It’s been a long road, but by summer 2018, homeowners will finally have some peace and quiet and a safer thoroughfare. Normandale Boulevard is just one of hundreds of road construction sites in the state of Minnesota. All of them require property owners to negotiate with the government over easements, land use or purchase, and even relocation. You don’t have to face the government alone. Contact Jon Morphew and the Morphew Law Office, PLLC at 612-790-9189 today for a free consultation.